I’ve been to some small airports before. Usually when Ryanair has deposited me in a random Eastern European city about two countries away from where I was actually meant to be. But New Plymouth? This was something else. At a relaxed country pace, we casually shuffled through the hut door in single file, past the short queue of those waiting to fill our seats on the tiny dash aircraft. The luggage arrival area, where a small trolley would shortly be wheeled through carrying the handful of bags from our flight, was more of a corridor than a conveyor. I half expected a sheep to casually stroll onto the runway for a sheering. Taranaki dubs itself as ‘a little bit out there’ and from first airport impressions, I thought they had been a bit over generous using the word little. Usually skipped over, as people focus on the best of New Zealand’s south island on vacations, this is a lesser explored part of the country. But Taranaki? I’d never even heard of it before. The shuttle bus, with me as the sole passenger, meandered past lush green farm fields thanks to the wet summer. The Kiwi hospitality and banter came strong from the front seat. I’ll admit, I had started to panic. There was a whole week here ahead of me and, being blunt, I’m not big on fields. But over the coming days, which turned to weeks, something strange happened. Twenty days passed with a few delayed departures yet I still wasn’t in any rush to leave. Eventually, with the arrival of my best friend from home to Auckland airport I dragged myself away to tour the remainder of the North Island. You know what it made me realise? New Plymouth is without a doubt my favourite city in Aotearoa. But, wait, what… Did I really just write that? New Plymouth is a city of confusion, and I mean that in the best of ways. On one hand, it has some world class features the biggest of metropolis would be proud of, on another, and I kid you not, I checked a bus timetable on a Monday and the next one wasn’t until Friday. Restaurants would be over spilling at 7 pm on a Tuesday, yet I could have the dance floor to myself in a nightclub on a Saturday evening. Nature, art, food, smiles and awkward looks blend into one here. It’s the kind of city you wouldn’t randomly bump into anyone you know in. Yet, somehow, I ended up finding a colleague from London to share a coffee with. Between afternoons playing frisbee and evenings spent attending free music gigs, slowly but surely New Plymouth got under my skin, and to my surprise, found it’s way to my heart. If there were more work opportunities in a city that holds around 2% of New Zealand’s population, and only welcomes around 2% of the country’s international tourists, I would likely have settled down some roots for a while. Be inspired for the year ahead with Lonely Planets latest list of where is hot to visit right now! Whilst many will say Mount Taranaki, always standing proudly in the middle of the region yet often hidden in cloud, is the jewel of Taranaki’s crown, I’d have to disagree. New Plymouth is a city that seems to be evolving, fast. Co-working spaces were opening, artists have set up shop here and world-class museums have opened their doors to much debate. I think it’s time people stop asking ‘why would you go to Taranaki?’ and start questioning simply when? I’ll start with the most obvious thing to do in New Plymouth, Mount Taranaki. Standing in all its glory as a backdrop to the city, it was even used as Mount Fiji in the film the Last Samurai. 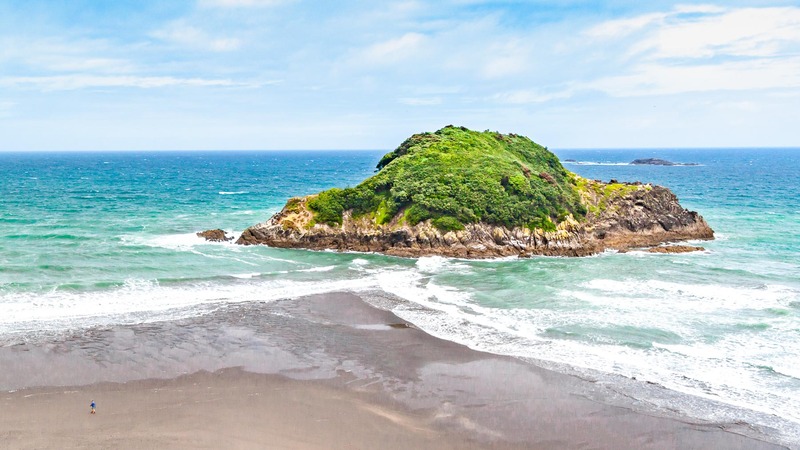 You can see it from most vantage points on a clear day and whilst at least one, if not more, days of your visit should be dedicated to Egmont national park I’m keeping the details of that for a whole other post. With both positive and negative reactions, the Len Lye centre opened in 2015. You can’t miss it due to its curved and highly reflective mirror construction. It’s part of the Govett-Brewster Art Gallery, both of which are named after famous artists of the area and with its curated art collection and unique kinetic installations, it’s well worth a visit, especially given it is free of charge to enter. 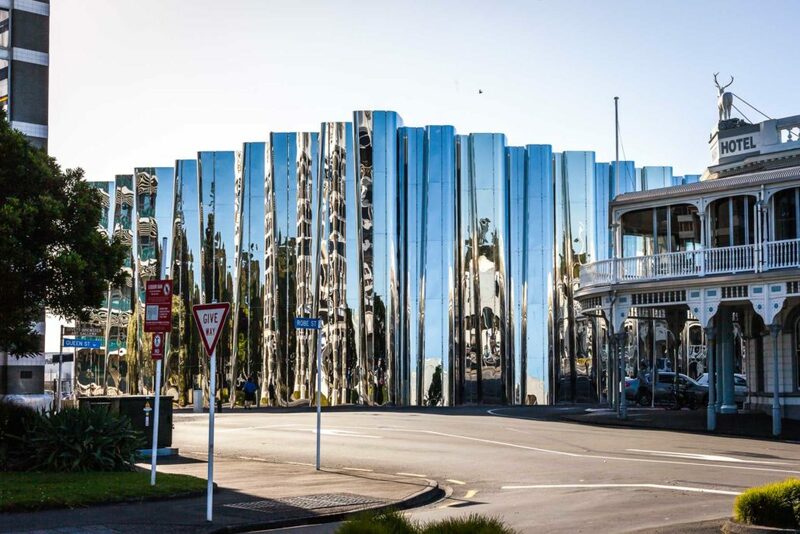 Puke Ariki, which is the world’s first integrated museum, library and visitor centre is another impressive free museum, which holds plenty of information on Māori culture, the region’s history and insight into the various wildlife and beyond. Given the unpredictable nature of the weather here, these will likely come in hand. 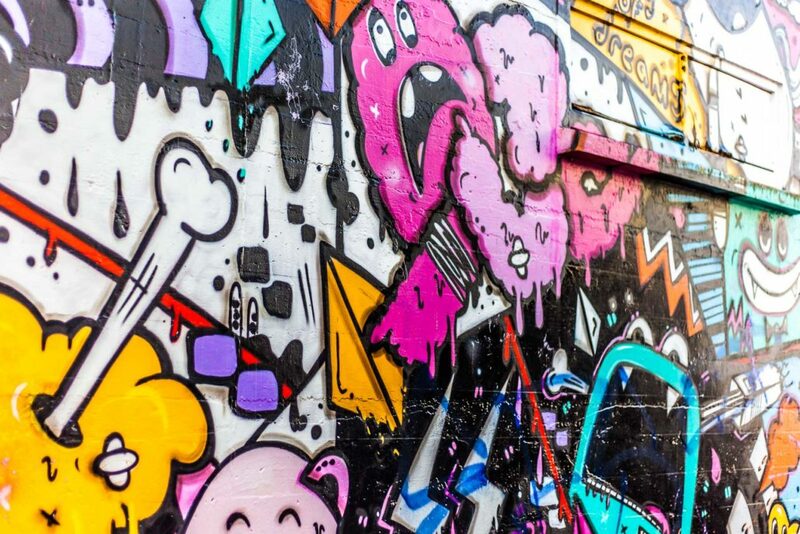 You won’t miss the wind wand on the waterfront, especially if staying at my favourite, Ariki Backpackers, and the whole city has a booming street art scene as well as independent galleries and creatives ready to show you their talents. This place was so unexpected in a city of this size. A 52ha park sits peacefully alongside the city and not only has a zoo, various styled gardens and a cafe but is also an incredible event venue for various concerts. I spent a lot of days here just chilling out, taking a boat out on the lake or enjoying the free festival of lights which is on most evenings through January and February. 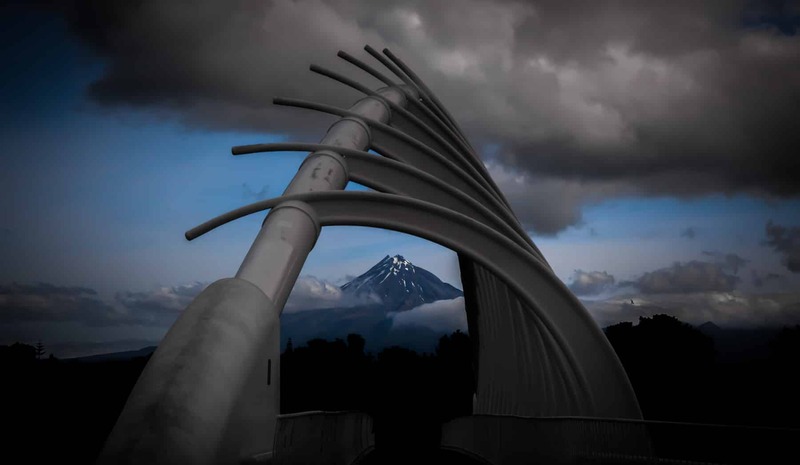 The coastal walkway spans around 10km, from Paritutu Rock (well worth a climb for some great views) through to the Te Rewa Rewa bridge which looks like it was built perfectly for Instagram, framing the mount in the middle and is often one of the top activities to do in New Plymouth. Grab fish and chips or watch the sunset at Fitzroy beach or ride the waves at the surf club here. I’d highly recommend hiring a bike from Cycle Inn like I did and exploring beyond the coastal walkway on either end, there are so many opportunities for mountain biking and little side tracks here you would be mad not to take them up. 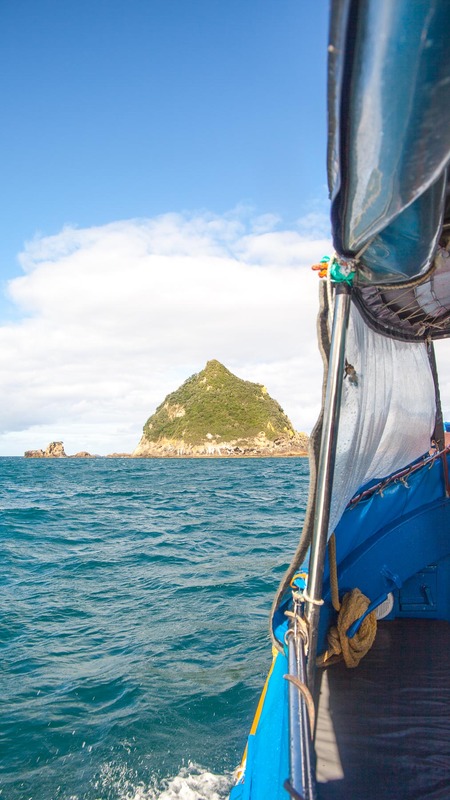 Just off the coast of New Plymouth sits a few islands which make up a national park. Whilst Scuba Diving is a thing here, the cold weather and choppy seas kept my PADI license firmly in my wallet. I did, however, take a boat tour out with Chaddys Charters and learnt the small vessel they use was constructed right by my hometown in the UK. We were lucky enough to witness baby seals on the rocks but sadly Dolphins and Orcas which can be seen in these waters were playing hide and seek during my day there. For $40 it’s more expensive than most activities in New Plymouth but compared to New Zealand as a whole it’s pretty damn cheap. New Plymouth is a city of events and surprisingly again, many of these are free. 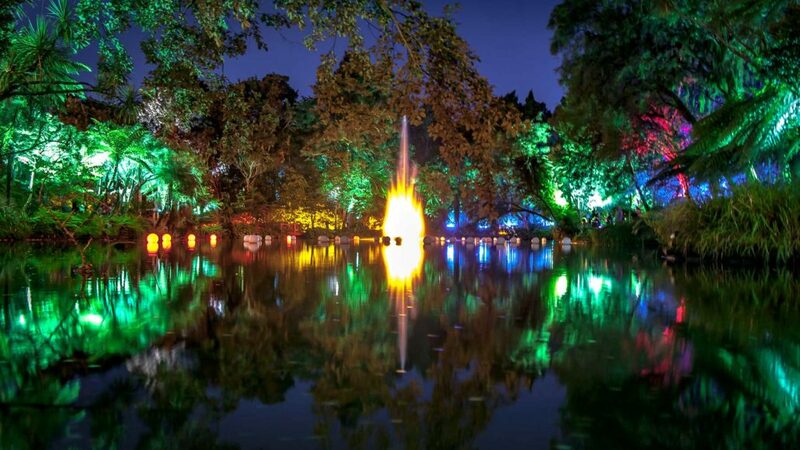 The TSB festival of lights was running for the duration of my visit and lasting nearly a month it transforms Pukekura park into a colourful playground at night with live music on two stages. On one slightly alarming occasion, when they fell over into the audience, fire performers even came out to play. 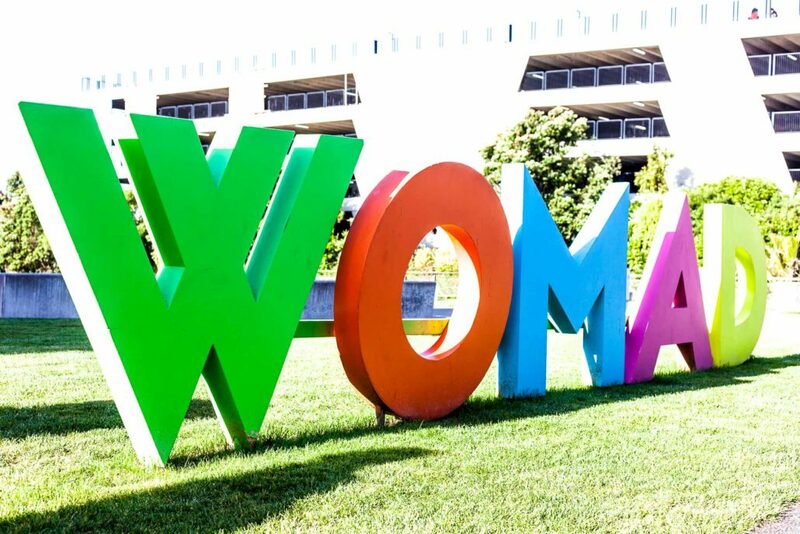 WOMAD, a world famous music and dance festival rocks into town during March, whilst the Taranaki event calendar has classic cars right through to pacific style parties keeping it busy year round. 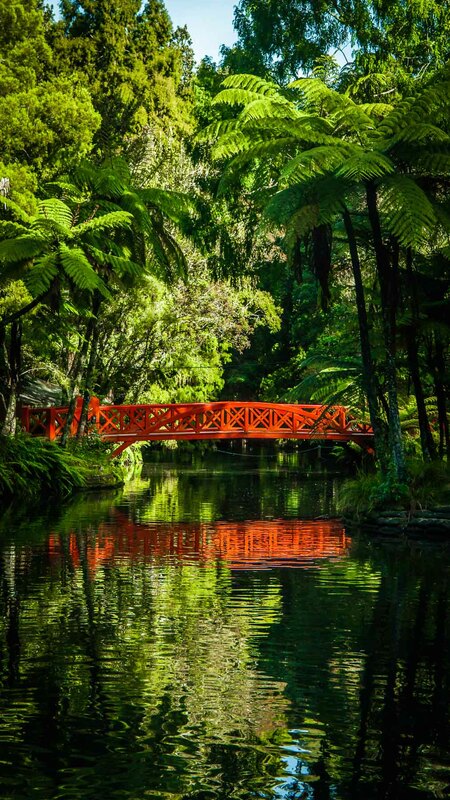 With the Surf Highway, lighthouses, black sand beaches, republics that have elected goats as president and a forgotten world highway to explore, Taranaki, with it’s ridiculously green and sometimes jungle like landscape offers up a plethora of natural attractions. As you might have guessed from my words about the airport, there are no international flights serving New Plymouth. 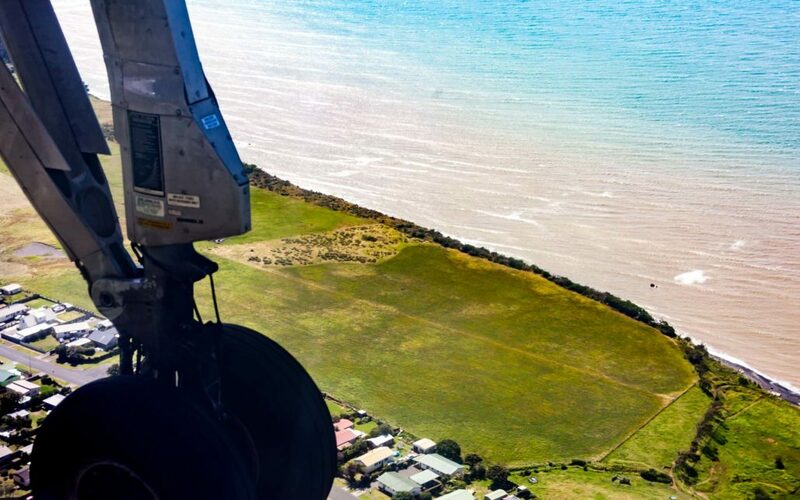 Auckland, Wellington and Christchurch are all served by either AirNZ or JetStar (check Skyscanner for the best value) whilst Intercity buses offer connecting services to both north and south of the slightly jutted out city. If you aren’t set on a date, enter in which month you want to fly and let it find the best value dates to fly on – set up an alert and get a message when the price drops! 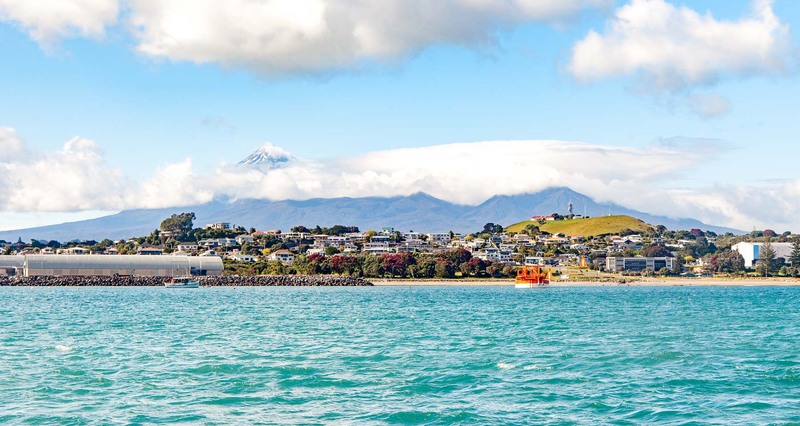 For the most part, New Plymouth is a great city to explore on foot. If you are not self-driving your only real hurdle will be getting from the airport, where a shuttle will meet each flight and is priced on a sliding scale dependant on how many passengers are using the service. There are some public bus services to visit inland towns, though the Surf Highway is lesser served. A mountain shuttle runs to Mount Taranaki and hitchhiking between starting points if you left your car elsewhere is always an option. 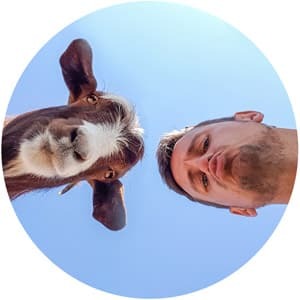 If you want some speed to explore the city, waterfront or head off mountain biking visit Cycle Inn where Rob will sort you out a great pair of wheels. I stayed in a few places in New Plymouth and Ariki Backpackers became my favourite hostel of all time. It’s more like a home than accommodation, bedroom doors were always open, friends being made and the manager, Matt, is a legend (just don’t let the funky looking carpets put you off). They have a range of dorms and private rooms with an awesome terrace looking out at the ocean right in the centre of town. 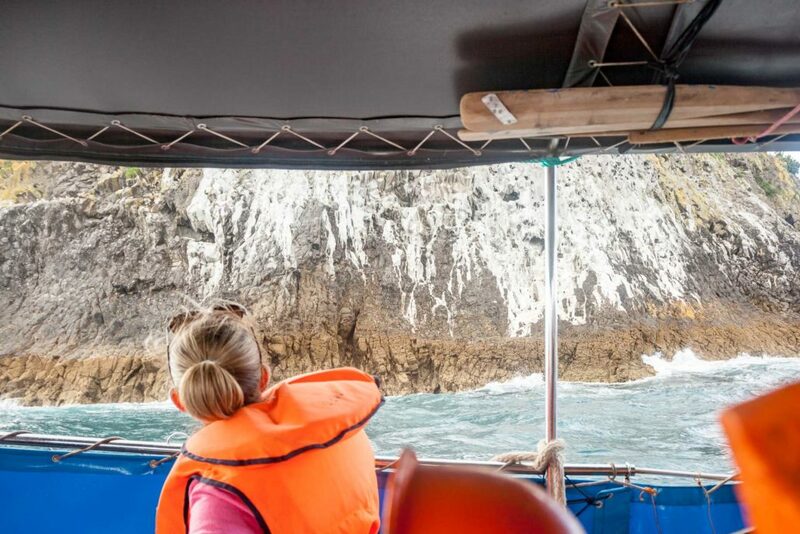 Matt has also since set up Egmont Travel Tours which offers some unique local experiences like beekeeping, farming and secret overnight hut stays, worth checking out if you want to see a more local side to Taranaki. I always book my accommodation with this website. Not only can you earn gold member status for discounts, but every 10 eligible nights stayed gives you a bonus reward night! There are so many great cafes and restaurants in this city it really surprised me just how varied and decent the choices were. It also comes with various popular chains (Burger Fuel, get in my belly) and a shopping centre open in day hours for quick style lunches. Good Home is a great call for a few beers and upmarket pub grub, The Loving Hut is one of the best vege/vegan venues I have ever visited and Social Kitchen is a really quirky venue which I have on good authority serves some of the best steak out there. Monica’s Eatery is a nice venue but sadly my meal there was poorly flavoured and pretty underwhelming on the day of my visit. If you are after just a coffee, Green Door served me a mean one up nearly every day as did the small and unassuming Landing Cafe. Vintage, slightly past the Len Lye centre is an awesome space for grabbing your cup of joe whilst browsing some weird and wonderful artefacts or reading a paper on a wooden bench table whilst Ozone roasters take their craft seriously and it’s worth popping in to order a coffee that might as well be a science experiment. 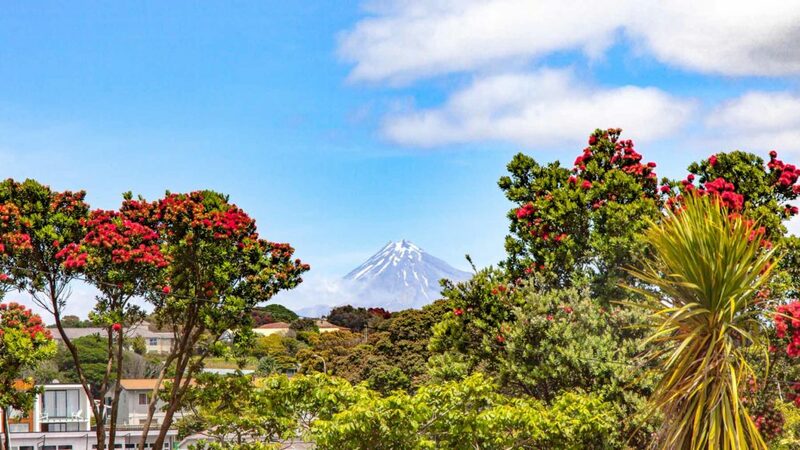 But is Taranaki ready for tourism? In my opinion, not for the masses, which is as much its charm as its thorn. New Plymouth has everything you could need and if you are mad enough to not self-drive New Zealand like me, you can still get around thanks to shuttles, occasional buses and cycling. 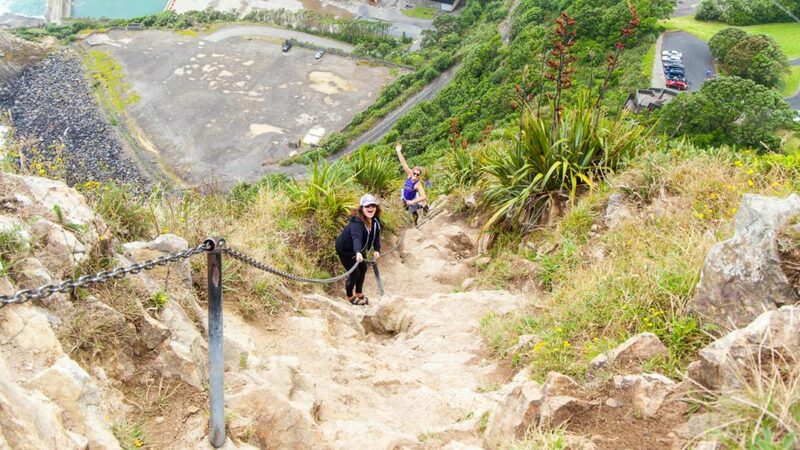 Unlike Queenstown and other famous New Zealand destinations, with their ample expensive activities, this isn’t somewhere you’ll drop a whole heap of cash. To be honest, they don’t have much you could shell out for. Morning beach walks and surfing sessions, afternoons hiking through pristine and untouched tracks, rainy days taking in free museums. This is an early to bed, early rise kind of city and it won’t break your bank to soak up on nature here, which after feeling like this country has gutted your bank account and then some, is actually pretty refreshing. I’m sure that will change, in fact, it has to change. 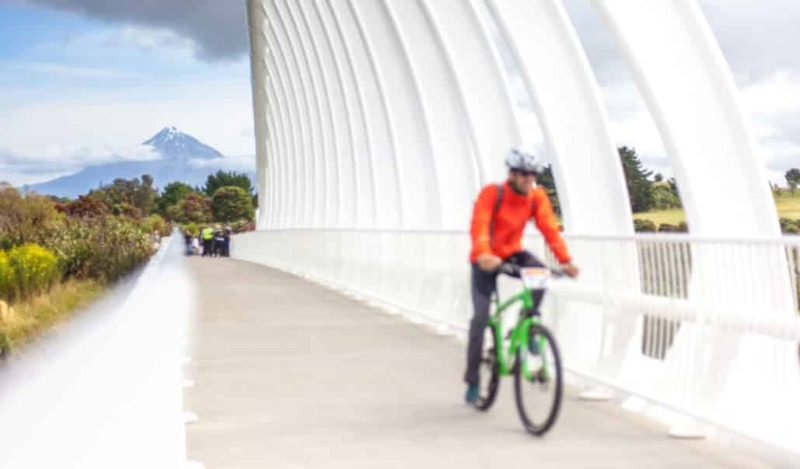 Whilst New Plymouth provides a great base I couldn’t help but feel if the people of Taranaki want to attract more tourism, their infrastructure needs to improve, which is where those money raising activities sure do come in handy. But don’t be one of the 98% of international tourist that miss this city. Come chew on a pie whilst Rob picks you out two wheels at the cycle inn. Feed the stingrays at the harbour as Chaddy recalls marine tales. Have a game of frisbee with Matt from Ariki backpackers. 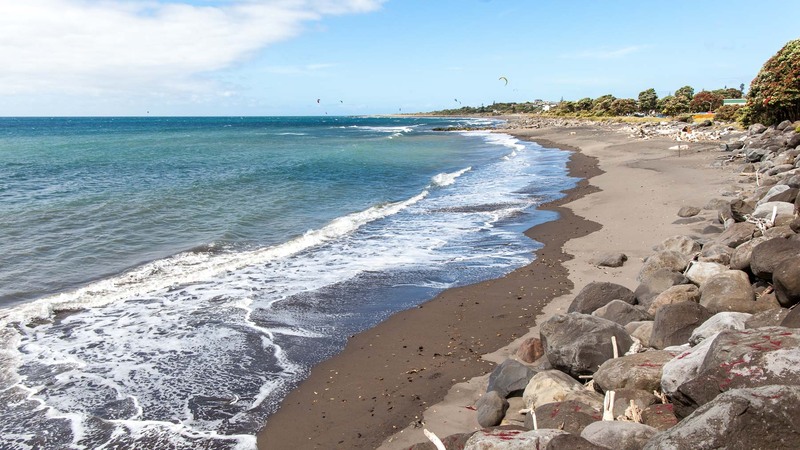 Come for a few days but don’t make any urgent onward plans, there is something odd about New Plymouth and its black sands might just keep you relaxed longer than you expected. *I was on assignment for Lonely Planet in Taranaki and declined any support from Venture Taranaki to keep this article unbiased. Big shout out to Rob for loaning me a bike for a few days. If you want to see what else I got up to in the region, check out the video below. Whitehaven beach: The worlds finest? Great info and breathtaking photos man! Thank you Dan, geeat comments. All true. We aim to please. 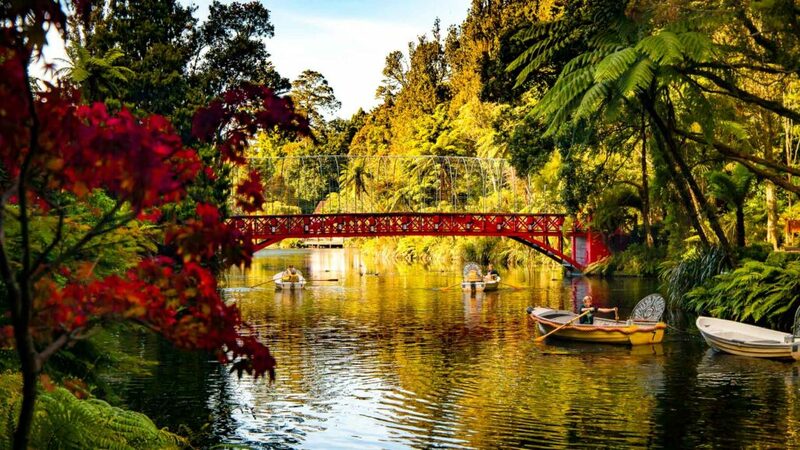 Ok while I could never admit its even possible for this to be the best city in NZ – I will admit I am very intrigued after reading this and will be heading here as soon as I get home! All I knew was Mt. 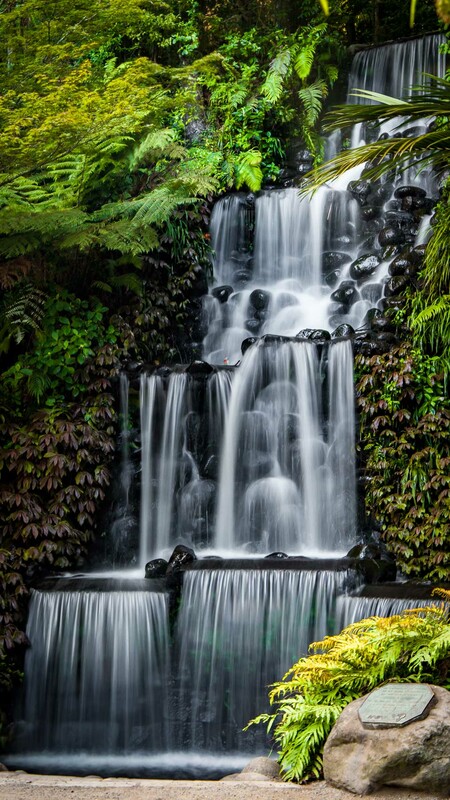 Taranaki … I think many kiwi’s sadly miss this region too!